"Behavioral leadership puts to work the principle that new results require new behavior, and significant results – those that confer a broad and significant competitive advantage – require the right new behaviors and the right few behaviors that endure over time." Albert Einstein is widely credited with saying “The definition of insanity is doing the same thing over and over again, but expecting different results”. While there’s absolutely no evidence that Einstein actually made this statement, it’s still a great quote! 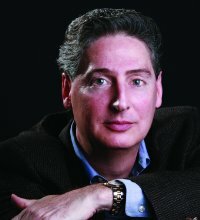 In The Behavior Breakthrough, Steve Jacobs and his colleagues challenge this definition of insanity and actually build a case for improving business outcomes by focusing on identifying and consistently rewarding small but critical employee behaviors that will dramatically improve an organization’s bottom line. "Senior leaders neglect to identify which of these critical priorities are the organization’s BRAVO goals, that is, the top priorities that will require significant behavior change." You probably associate the word BRAVO with an audience acknowledging a performance done flawlessly, to a high level of excellence. It’s inspiring to see an individual or a team execute a difficult task or maneuver with apparent ease, because we intuitively know that the task really isn’t easy to do. When we shout BRAVO! we acknowledge that there was a lot of hard work and determination that went into achieving that level of success. For Jacobs and colleagues, BRAVO is an acronym for Behaviorally Reinforced Acceleration for Vital Outcomes (sounds like a mad science experiment doesn’t it?). Their research has shown that companies that pinpoint one or two high impact behaviors and design processes and practices to deliver the right consequences for executing the right behaviors well, achieve results faster than those who leave performance feedback and consequences to chance. BRAVO goals designate the highest priorities of the organization AND signal that people will need to alter their current behaviors significantly in order to achieve success. In a world where we are pulled in multiple directions simultaneously because of the many different professional and personal roles we have, the idea of setting two or three BRAVO goals appeals to me. It has the potential to revolutionize the traditional (and generally meaningless) “New Year’s Resolutions” game into something more than just wishful thinking. Imagine the success you could achieve if you identified your highest priorities and focused your energies on the one or two key behaviors that, if executed and rewarded consistently, would guarantee positive results! BRAVO! BRAVO! "Behavioral leadership focuses on crafting desirable shifts in everyday habits, behaviors and routines." Ok, I’m going to assume you are with me and have identified a BRAVO goal or two to work on over the coming months. Like New Year’s Resolutions, it’s easy to start off with a bang (lots of energy and enthusiasm) and, just as easy to ‘fall off the wagon’ three weeks into your behavior change initiative. We’ve all “Been there, done that!” right? Think of the behavior you want to shift. In the book, a manager wanted to increase the frequency with which he gave his team members positive feedback and encouragement, something he found difficult to do. Determine the frequency with which the behavior needs to happen (aim for daily). Our manager decided he wanted to give his team members positive feedback four times each day. Put the required number of quarters in your right hand pocket in the morning and each time you execute the behavior, shift a quarter to your left hand pocket. Your goal is to move all your quarters into the left hand pocket by the end of the day. Within days the manager found it easier to encourage his staff. He had an immediate and measureable way to assess his progress and within weeks, his team was performing better and enjoying their work more. Where might you use this strategy to support your behavior change goals? "What we reinforce or discourage, intentionally or quite unintentionally, makes a difference." In the list above, I inserted brackets around the term (business) because I believe the six practices listed apply equally well to personal goals and outcomes, and I’m fairly confident the authors would concur. Whether you are applying the concepts from this book to your business or your personal life is irrelevant; what is relevant is the fact that high performers are deliberate in their daily actions. Consider the impact the late Steve Jobs had when he returned to Apple in 1997. He took a company that, according to Fast Company, was pursing over “15 product platforms with a zillion variants” and refocused it on four primary offerings. In Job’s own words, “We had to decide: What are the fundamental directions we are going in? What makes sense and what doesn’t?” A deliberate focus on fewer products enabled Apple to have an almost unprecedented impact on the technology industry (think iMac, iTunes, the iPod, and iPad) and regain its status as a valued brand and market leader. What is it that you want to achieve (at work, at home, in your community)? What do you need to do to become the Steve Jobs of your industry – the best version of yourself? Of all the things you could do to attain that success, what are the one or two critical behaviours you need to shift to get better results? How will you get started? What do you need to put in place to encourage and reward those behaviour shifts? Then implement, measure, adjust and repeat! On page one of The Behavior Breakthrough the authors note, “New results require new behaviour. It’s that simple – and that difficult.” Fortunately, after reading the book’s 216 pages, I came away with several new ideas on how to create my own behavior breakthroughs. In turn, I hope my summary has inspired you to pursue a behavior breakthrough of your own! Here’s to our future success! Why not inspire others by sharing your breakthrough successes below? Tell us about your BRAVO goals or let us know how you applied the ‘Pocket Change’ technique to help shift a new behavior into a sustainable habit.